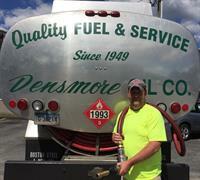 Your local heating oil company, Densmore has been serving Eastern CT and Southwestern RI homes with reliable oil delivery and heating service since 1949. As we’ve expanded our services over the years to include automatic fuel delivery, heating service plans, air conditioning services, fuel payment programs, oil tank protection, and more, we remain true to the cornerstone of our business – customer satisfaction. As a full-service, family owned and operated business, we take pride in providing personal, courteous service and competitive heating oil prices for our customers. Our skilled employees take part in valuable seminars and classes to ensure we are always up to date with the latest technologies and service offerings. When Ray and Donna Densmore set up shop in their Old Mystic home in 1949, they understood the true value of a family owned and operated business. 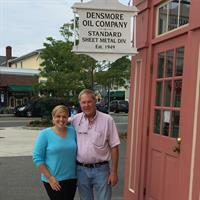 Now, 69 years later, Densmore is still family owned and operated, continued by their son Mark who runs the company out of a beautifully restored building on Water Street, in the heart of downtown Mystic, CT.